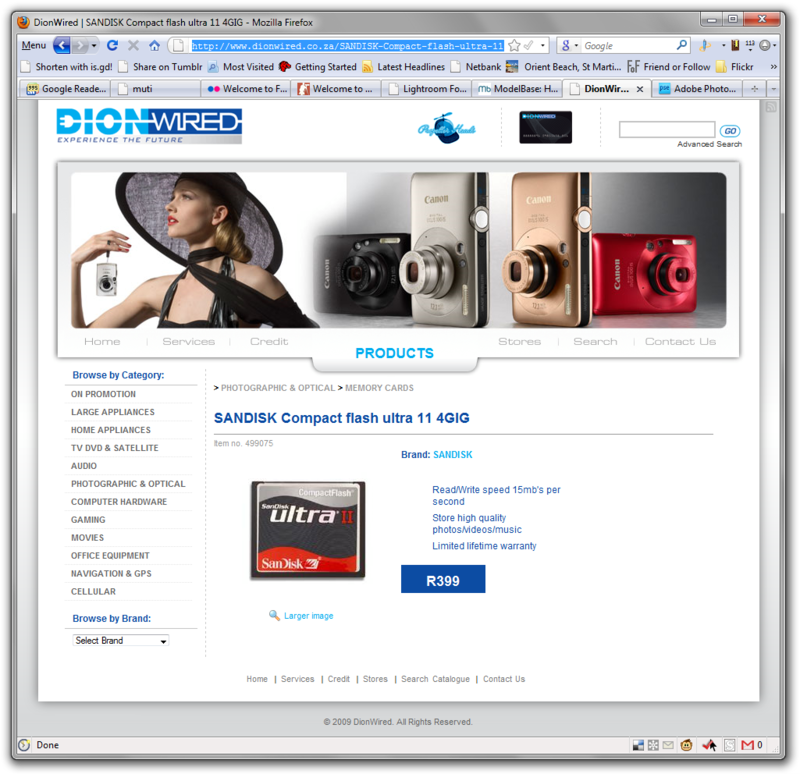 This entry was posted in Thoughts and tagged Advertising, dion, dionwired, price, retail, wired. Bookmark the permalink. they can only improve if you make them aware of what they are doing wrong. . . I was in the store this morning and noticed one of the Ultra II 4GB cards on display with a R399 price sticker on it. So perhaps this was just a simple error. And the less than helpful staff member? Let’s hope he was just having a bad day.